KITESURFING SRI LANKA: Surprise surprise, Kitesurfing Lanka is Pretty Rad! 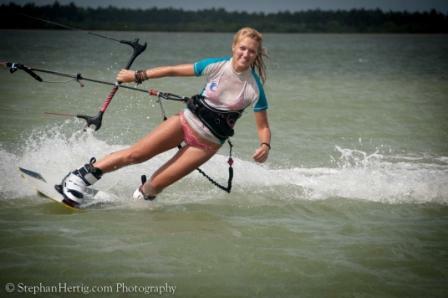 Surprise surprise, Kitesurfing Lanka is Pretty Rad! Stephen Hertig from the KTA shares his experience on his blog. The wind has definitely started in Sri Lanka. 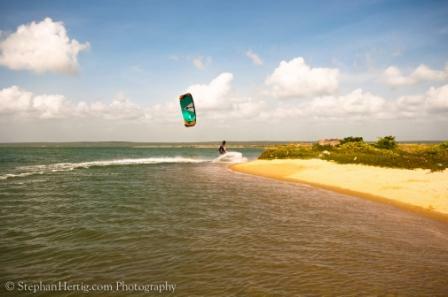 I'm kiting every day in the Kalpitiya lagoon, the spot is awesome and never crowded. The water is glassy flat and the most of the people are beginner which all stay upwind of the best wakestyle spots. Few days ago the north team arrived wt Tom Court, Tom Hebert and Thomas Paris. The guysare rocking the lagoon wt all the new 2013 equipment, since it is all produced over here is the cheapest way to test... and i would say one of the spots that gives u all the opportunities to the all kites on one spot. Waves, flat water, choppy.. u name it Sri Lanka has it. We did already to kitetrips wt boats to some smaller islands just a few km downwind of the lagoon. Kitesurfinglanka is offering those trips. U can't really do it alone because u need a license to go passed the military zone and only a few boats are aloud to cross this area. 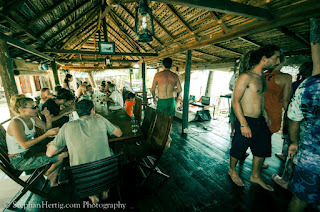 The trips are awesome, kiters should be able to go toeside, so u can actually do a long trip. The beginners take much longer and can do a shorter version of the trip. They start to build some shelters for lunchtime, which is served on the beach, and some cover for the 2day trips. 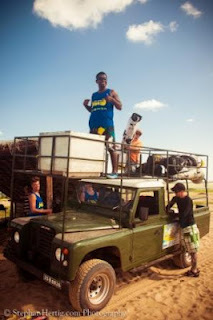 I can highly recommend the trips, is all about flat water riding, enjoying the longest stretch of sandbars, beaches and small fisher villages wt kids running around and cheering u up to do some big airs in front of them. The trip starts wt a 1h boatride down the Kalpitiya lagoon which connects wt the Puttalam lagoon. There are already plenty of spots on the way to the first island, but the best spots just start from there. Then it's about a 2h downwind trip all the way to the second island and ending up at a wavespot, the waves can be nice down here, depending on the swell. Sri Lanka is the future of kiteboarding... this spot will grow very fast and big. So come and enjoy it as long as the local style will last, before the big player come in and destroy it all. I only have a few days left now till i head to Bangkok for 2night and then off to China for the next KTA tourstop.